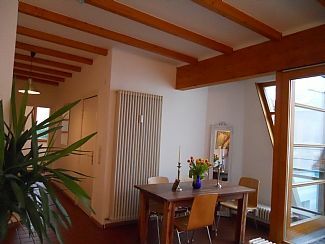 A 80msq 2 bedroom duplex penthouse overlooking a courtyard and located in the trendy area of Mitte. 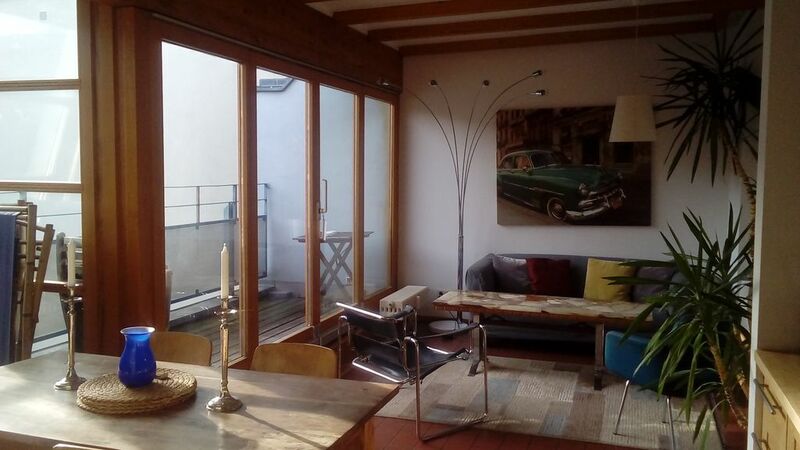 Upstairs, an open plan sunny sitting/dining area opens onto a south-facing terrace. 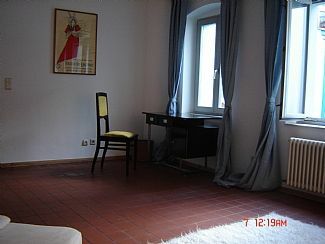 There is one bedroom on this level with views of the TV tower and neighbouring garden, while downstairs there is another large studio-bedroom (with cable TV)and bathroom overlooking the hof (courtyard). 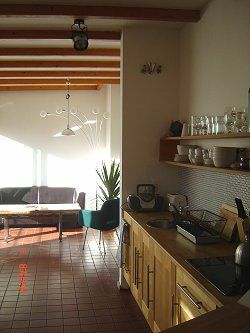 A beamed ceiling and terracotta floors throughout, with contemporary furniture and a well-equipped, wooden fitted kitchen create a possibly Tyrolean-Spanish atmosphere. 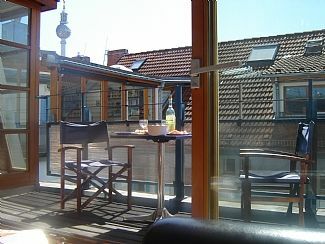 This is particularly so when the big glass sliding doors are open onto the balcony and one can breakfast al fresco. 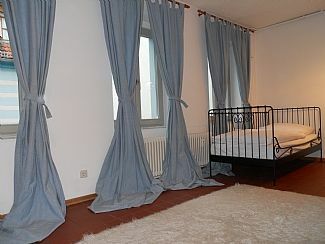 The apartment is very quiet, though the area is bustling with boutiques, bars, caf?s, restaurants and galleries. 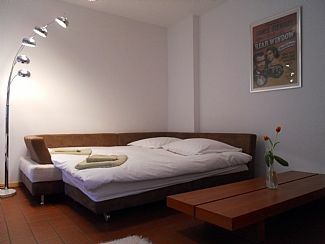 Alexander Platz, Prenzlauerberg and Museum Island are all within 10 minutes walking distance. 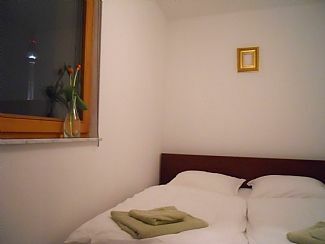 The Goethe Institute and the Cervantes Institute are within 5 minutes. 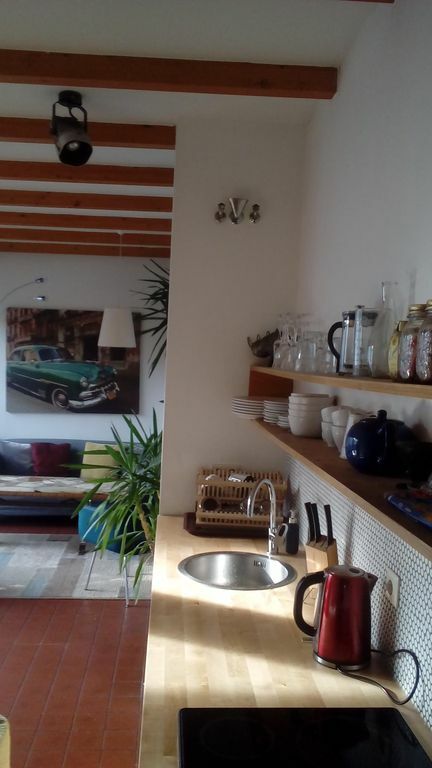 Perfect location for short term stays for families of up to 5 members, one or two couples, and two or three single individuals. 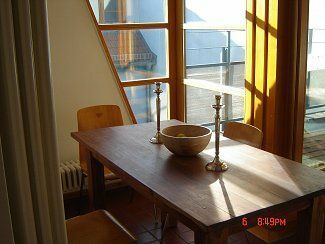 Please do not request a booking if your group is made up of five single individuals.